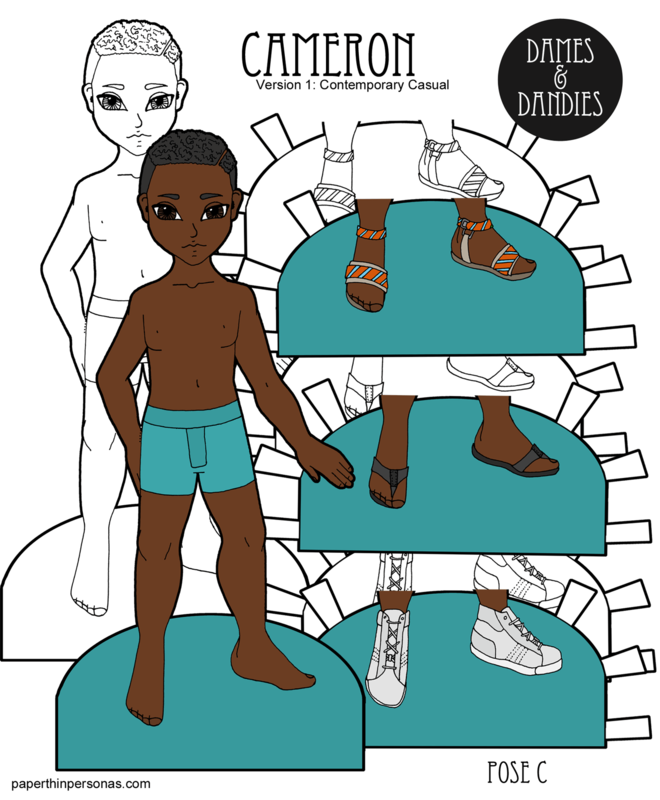 The second and third pair of shoes are covered by the paper doll. Yes, just like Carlos and Changrui, the scale of the male paper dolls tends to requiring layering on the thumbnail to fit everything in. I like the collage look myself. If you look at the PDF, you’ll see that the printable version is designed so that every item can be printed and used without layering issues. My boyfriend approves of the hair. I adore his shoes. Especially the sandals.